Welcome to the Spring 2017 issue! As winter seems to finally leave our state, we all find ourselves in the last portion of the school year. I hope that you find both ideas and energy in this issue! It is FILLED with wonderful content from all of you, the PCTELA Professional Family! Enjoy the summer and please continue to submit for future newsletters! This January, I wrote a post on our PCTELA blog (see post here) in regards to some reflections on the need for empathy in education. As I said in my post, empathy is not a new idea or something we JUST thought should be in classrooms, but empathy is a conversation that has returned with vigor across the country. The conversation seems to be everywhere. But, the one place I see it most is in relation to the role of advocacy in education. I see this present in NCTE and other affiliates across the country, movements occurring across our nation, and in the everyday conversations with my students. The interesting thing about this recurring conversation are in its ties to empathy and the realization that we cannot have one without the other. I think we can see the reason for this in the basic question of why it is that we do advocate. So, why do we? What’s the purpose? I believe we do this—we advocate—because of empathy. Now, I know that the purpose for advocacy may be different. Our ideals in why we advocate and what we advocate for are diverse, but at the basic level, there must be a drive to see change. And if we want to see that change, I would hope it comes from some level of care, concern, or compassion for what we support. In continuing this reflection as the months have passed, I started to think about PCTELA’s upcoming conference. My colleague Julie and I are the conference chairs for this year, and we began discussing our desire to focus not only on advocacy, but the role of empathy that we see so inherent in its discussion. We talked to our friends on the PCTELA council and we stand united in the decision to alter our conference theme for 2017. With that said, our alteration is slight, but important for us to mention to you all—our members. Our new conference theme for 2017 is Advocacy with Empathy: Overcoming Obstacles, Promoting Partnerships, and Cultivating Dignity. We believe it falls closely in line with our initial theme and mission, but that we will be able to move the conversation even further. We hope you see the reason for the change and,more importantly, how our constant reflection on the practice of teaching English and the experiences of our teachers and students are vitally important to us as an organization. If this idea is one that inspires you, we hope you’ll consider submitting a proposal to share your voice and what you advocate for. We will be hearing from a variety of voices from our state and beyond at the conference this year, so add yours! Keep a lookout for more information about featured speakers, featured sessions, and general information. We hope that you will be able to make it out to Pittsburgh this October to help us answer these questions of advocacy and empathy in education today. The conference will be held on October 20th and 21st at the DoubleTree by Hilton Hotel Pittsburgh in Green Tree, PA. Check out our website for more information and registration materials. A few years ago, when I was contacted about being conference chair for an upcoming PCTELA conference, I jumped at the chance to become a more active participant in this organization. Of course, I had never chaired a conference before so I had no idea about what was involved or what kind of work was necessary to pull off a successful conference. Would I still have said “yes” if I had known what was involved? Yes. This truly was a great learning and professional growth experience for me. Having the entire PCTELA team backing me up and supporting me also made things go more smoothly. I was lucky to have a co-chair at the beginning of the planning stages so in very little time we had our title, vision, and mission statement set to present to the Board for approval. The Board liked and approved our proposal so now it was time to put the thinking cap on and see where we wanted to go from here. Because our goal was to show the need of writing across professions and not just in the schools I wanted to find some featured speakers who could address this topic. By chance, I was reading the paper one day and there was an article about a woman who ran a writing program in the Vermont state Women’s Correctional Facility. This was exactly the kind of person I was looking for to be our opening featured speaker at the conference. I contacted Sarah Bartlett and she agreed. She and a partner had compiled a book consisting of writings by the incarcerated women they worked with. Her book, HEAR ME, SEE ME: Incarcerated Women Write (Orbis Books), is truly inspirational. One speaker down three more to go. Some time later, again while reading the paper, I ran across an article about a mid-west professor who taught students studying medicine how to write along with their patients to get a better feel for what they were going through. Again, this fit perfectly with the theme of the conference. After contacting him I had my second speaker, Christopher Bolin. My co-chair came up with a name for our third speaker, Marcia Nelson. Marcia is an original Freedom Writer and has done much work helping her students and getting funding for programs to enrich their educational experience. She also agreed to speak so now three for the four speakers were set. To round out our speakers I wanted a “name”, someone who would be well known to educators. I decided on asking Sharon Draper. Her books have been a staple in my classroom and my students enjoyed her books. What would it hurt to ask? I did and she agreed. With the four featured speaker slots filled I could now move on to other aspects of planning the conference. Because of or venue, The Penn Stater, I didn’t have to worry about meal planning. Their conference coordinator is excellent and food was all taken care of. All that had to be provided was numbers. If you attended, you the know the food was plentiful and almost never-ending. Probably the hardest part of planning this conference was picking out the breakout sessions. 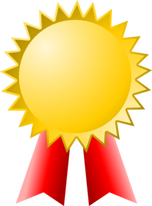 It was great having such a large number of educators submitting proposals. I had more selections than I had space for. Luckily, however, round table discussions were part of the daily events so I was able to fit the overflow into these. Thankfully all agreed. Our slate was set. Now it was just a waiting game until the day of the conference. Of course I worried. Did I miss anything? Will people show? Will people walk away feeling energized with new ideas to try in their classrooms? I am happy to be able to answer “yes” to all of these questions. I am really happy with the way the conference turned out and thankful to my PECTELA family for being there and helping me when I needed help. I appreciate all of our presenters. We have such a vast wealth of knowledgeable people in Pennsylvania who are willing to share what they know with others. Lastly, a big “Thank You” to all who attended the conference. This conference, after all, is for you. Here is hoping that many of you will join us October 20 & 21 at the DoubleTree by Hilton Hotel Pittsburgh Green Tree, PA for PCETLA 2017. 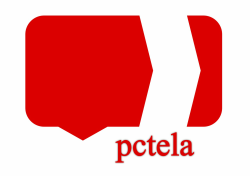 Please consider becoming involved and joining the PCTELA family. We are there for you. Review of The power of extreme writing: How do I help my students become eager and fluent writers? by Diana Cruchley. Alexandria, VA: ASCD. 2015, paper, 46 pages. This helpful book by Cruchley is one of the new titles in the ARIAS series, specifically meant to be read quickly for immediate use in curriculum planning and in teaching. 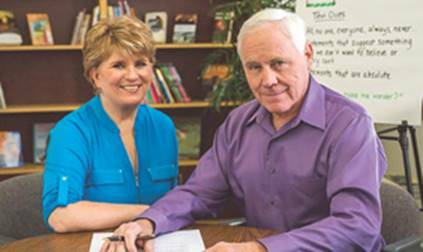 The ARIAS titles include good resources for helping teachers and administrators solve difficult issues in the classroom and locate further resources on the topic at hand. Cruchley focuses on helping students become more fluent writers. To do this, the author provides a process and lessons to get students writing more quickly at various times during the semester, using an approach she calls "extreme writing" sessions. Students write quickly and try to come up with good statements to show their opinions and solutions. At the end of the year, the students can look back at their progress by reading their assembled pieces in a journal, kept in a file box in the classroom. The goal is to get about eight such journals compiled during a given year. Much of what is here is very helpful, and there are clear notes of guidance on how to help English language learners (ELLs) and special students who are mainstreamed in the classroom. Serving ELLS and others means looking at individual language levels and skills. In this way, the book is also helpful for teachers who need more understanding on how to reach certain students and who may not have the training specifically to do so. The explanations and suggestions are written in clear terms and can be helpful for teachers. The majority of the book contains ideas and plans I can recommend. However, there are two issues I see right away when reading the book. First, students are not given the chance to guide their own learning by creating their own writing prompts. Second, they are not encourage to explore certain content they as a community may wish to learn more about. In this way, the text does not help students to develop and embrace constructivism and does not show them how to flourish as learners as Freire would advocate they should. A third problem is that the text has a clear orientation toward younger students. I wanted to see some more examples of lessons and suggestions for more advanced grades and more fluent writers. Overall, the book is a good start on getting educators to talk about writing fluency and using an interesting means to try Cruchley's approach. The book would work fine in shorter professional development sessions and as individual reading for teachers to consider projects for the coming year. The potential use for classroom teachers faced with ELLs is also a good start, but not a definitive guide, given the short length of this book. ​Review of Teaching Students to Drive Their Brains: Metacognitive Strategies, Activities, and Lesson Ideas, by Donna Wilson & Marcus Conyers, 2016. Alexandria, VA: Association for Supervision and Curriculum Development. ​This is another excellent new book! This brief and concise text for helping educators understand the parts of the brain, their functions, and related processes for better learning. The authors show how teachers can help students think about learning—that is the metacognition—and in so doing become better and more focused learners. The authors make this information very accessible and clear for teachers and other educators. They use examples for K-12 settings and interesting lesson plan ideas also. I would recommend this book for all teachers, but especially for those wishing to get a good basic understanding of how to use metacognition in the classroom to good advantage. Like many clear shorter books, this one has a wide variety of possible uses. Meant for school use, the book will nonetheless be helpful in college and vocational education programs adapting the basic information to fit more advanced subjects and also career training. It is essential to not only have a good understanding of brain research—as these authors obviously do—but also to be able to explain the findings to those who make use of this important kind of information on a daily basis, potentially. It takes a good teacher to teach a teacher, I have often said. Although, I think I am not the first person who said that. In short, Wilson and Conyers do a commendable job of walking the line between the results of brain research and the forum for teaching educators about those results. I salute them, and I hope to use this book in a variety of settings soon. I enjoyed reading this clear and concise introduction to the world of metacognition. I also enjoyed the cartoon of the brain being driven. For this and other information, you must purchase the text and read it!